2012 proved to be pivotal in the life of Dr Nick Wade. The oft told (by the writer) story of him receiving word from the AFL while traveling to Melbourne in his kombi van with his wife Carmel, that he was to be offered an AFL contract, radically rearranged his holiday and forced him to run beside Carmel who was driving the van. This turned his AFL story into somewhat of a Cinderella fairytale, partly embellished by my (the writer’s) imagination, that captivated the umpiring panel. Fast forward to Sunday October 1 2017, and a group of seasoned boundary umpires with a little grog in their bellies and telling stories after a hard season, wished Nick all the best in his retirement as he left the venue saying, “Nick you are well respected and you made a valuable contribution to the group.” No greater accolade could have been given to Nick on his departure after 6 years and 116 AFL games to his credit. A one year wonder turned into a 6 year career because of the sheer determination of the man. “I missed a time trial once in my AFL career and it embarrassed me, I didn’t like the feeling of letting myself and everyone else down. I was determined that would never happen again.” reflected Nick. Asked about his most memorable experiences, Nick was quick to remember his debut on the MCG on a bleak Melbourne Friday night. It was Collingwood’s lowest attended home game in 80 years against Fremantle and it was two degrees. What was even more memorable was the hand warmers he was given by a trainer that night so he could feel his hands. “They were shakeable heat sachets that the guys put under their wrist bands, saved me for sure!” (Ed, now I’ve heard everything). His second and only other game there was just as memorable but not as cold. Nick matured like a vintage red wine. 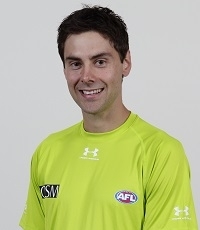 He started umpiring in the QAFL in 2000. 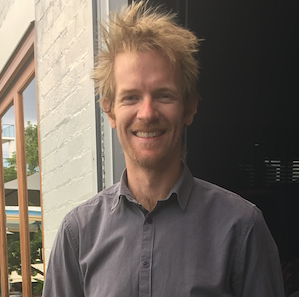 He ran in the under 18 National championships in 2005 and the QAFL grand final in 2009. In 2011, he umpired the WA v Qld interstate game and the NEAFL grand final. One of Nick’s many great attributes was the ability to not take life too seriously. 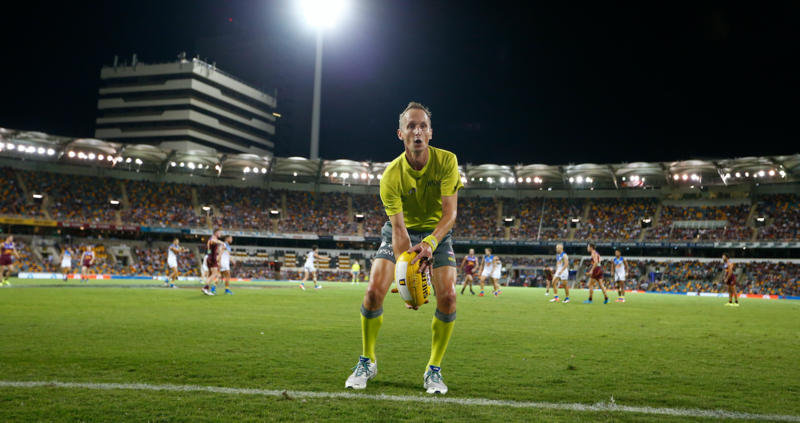 When talking to a group of umpires and friends at the Queensland luncheon in June, he mused that Aaron Deckys had reached his 300 game milestone at a younger age than Nick was first contracted to the AFL panel!